We often travel on long trips that cover a lot of area. One year we drove for 4 weeks down the west coast from Vancouver, Canada to San Diego, California. We travelled for 10 weeks, starting in London and after travelling the Adriatic coast of Italy finished up in Sorrento. Six weeks let us travel Australia and SE Asia. The most recent 10 week trip with start in Athens and cruise to Dubai and on to Cape Town finishing with New Years in Dubai. One of the most common things I am asked about is travel planning tips! There is a little preamble to set your expectations first. Both David and I are researchers, planners and inveterate list makers. We are also heavily into technology so most of our work for planning and travelling is online. Our iDevices are loaded with travel apps. While we have acted spontaneously to go somewhere when we are on the road, we rarely amble from place to place with no plan. If we’re going to be buying new travelling equpiment then we look at review sites like Extraordinary Reviews to make sure what we are buying is good quality. This blog is also targeted mostly at longer term travels. But most of the travel planning tips are still relevant for shorter trips. 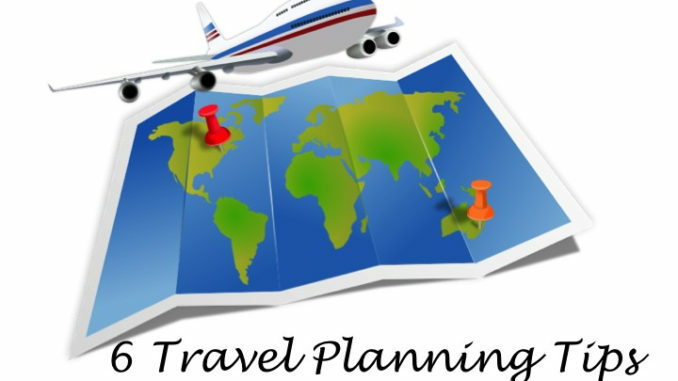 The first of the travel planning tips relates to setting your travel destination. Most of us have very long travel wish lists. Our list seems to keep growing. As we knock off places, new ones get added and many are places we want to spend more time in. When it is time to start planning our next trip, the first decision is where to go. Using our travel list, friend and family input and blogs that have teased us, we can usually decide at a high level where we are going. We are semi-retired and work for the splurge dollars to travel well. Our work is planned so that we have long breaks. So we can usually plan a longer trip than many people who must work with limited vacation time. But not all of our trips are long adventures. Once we have a general area, we need to decide where to start and end the trip. We often start a trip in one place and end in another. Picking the start and end points sometimes get constrained if you are flying. While you can use “multi-stop” on all airlines, they don’t service all end points well. If you have a preferred airline, you may want to have a good idea of where their major terminals are (to reduce the number of hops). One of our travel planning tips is to sometimes consider interesting ways to get either to the start or from the end point. The stop-over flights through Iceland have been a big draw lately and that is still on our list to try. We are heading to Portugal in the spring of 2017 on a re-positioning cruise across the Atlantic. Sometimes we have been able to string together a few stops before we get to our official starting point. 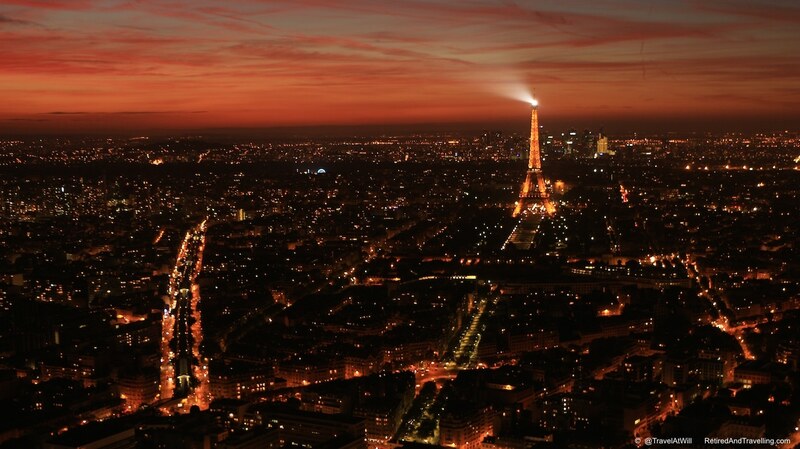 We once flew Air France and got 3 days in Paris before we started our tour of Spain in Madrid. The downside of booking an interesting route in one direction is that it will normally mean finding a one-way return ticket. As I have whined about before, we have found there to be a huge premium price attached to one-way long distance travel. We get so used to buying one-way fares within North America. I am appalled when I try it for long distance one-way. Make sure you understand and accept the premium you are paying to break your flight into multiple single trips. Once you have the end points picked, you can start to plan the stops along the way. At this point, we will develop our list of towns or cities that we want to visit. A little research on things to see and do for each stop will usually let you determine how long you want to stop. We always try to leave wanting just a little bit more. One of the things we sometimes forget when planning dates and duration is any special event that may be happening in places we could visit. This also goes for booking the dates for the full trip. It is not fun when you arrive in Belize because you just had to escape the Toronto winter to find you have missed scuba diving with the whale sharks by 2 weeks! Once we have a rough itinerary, there is one of our travelling tips that has saved us many times. 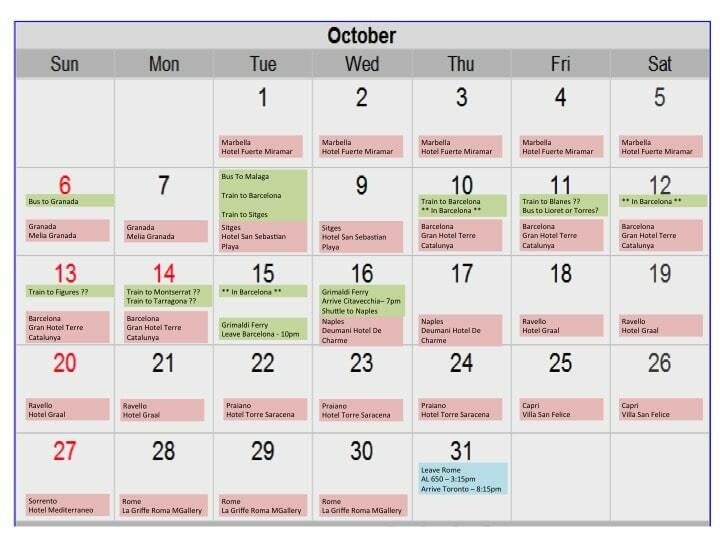 We will get blank calendar pages and start to layout the days in each spot. This provides a great visual that will show you how many days you are on the road travelling between spots. While the travelling is often part of the adventure, it does add more planning. Depending on how far you are travelling, it also takes away time at destination points. Once we have it in a calendar, we usually do a reality check. Some spots always look like they don’t have enough time so we need to go back and juggle. Sometimes we just concede that we need to stop at less places. We can always go back! How you will travel is a major decision to make. We often mix up our transportation. For places well served by trains, we will often choose to use the train between spots. If the hub has good transportation for day trips (like Verona and Barcelona), then you can even use the train for exploration. 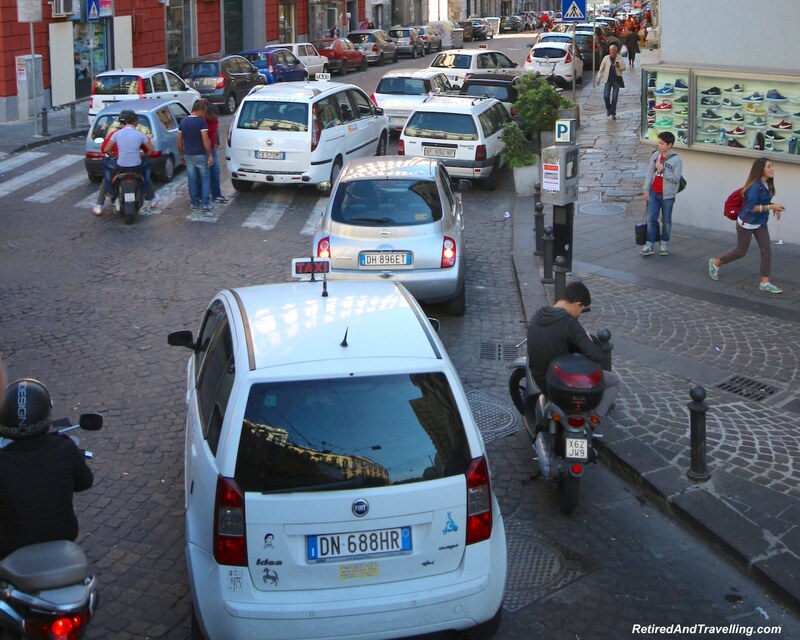 If the city is a major traffic zoo (like Rome and Naples), we would never consider driving in the city. We will walk or take public transit. It is just not worth the aggravation. If we want to wander and stop along the way, we will rent a car. We normally do it for legs of the trip where we can pick up in one city and drop in another city without a major cost. Having a car also lets you explore off the beaten path. We saw all kinds of little hamlets on the Adriatic coast of Italy that could not really be seen without a car. We will sometimes do day trips or even move between spots by bus. 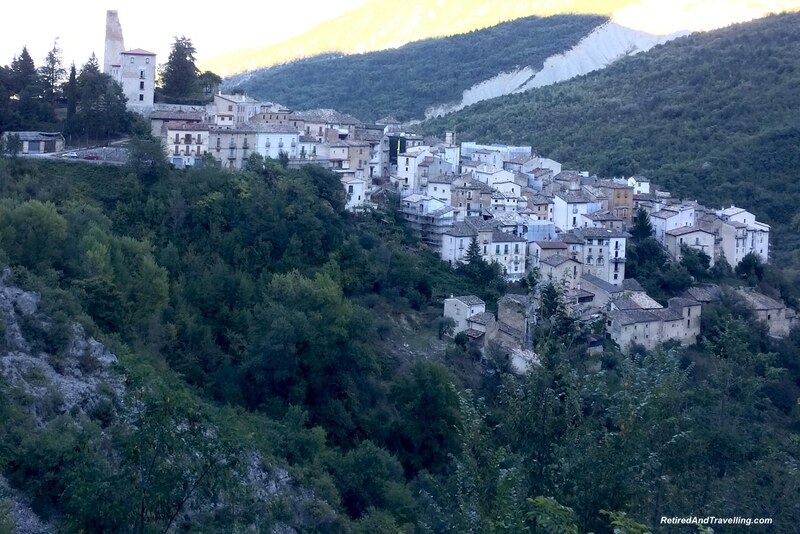 The scenic bus ride to the white hill town of Ronda was almost as great as visiting this charming town. 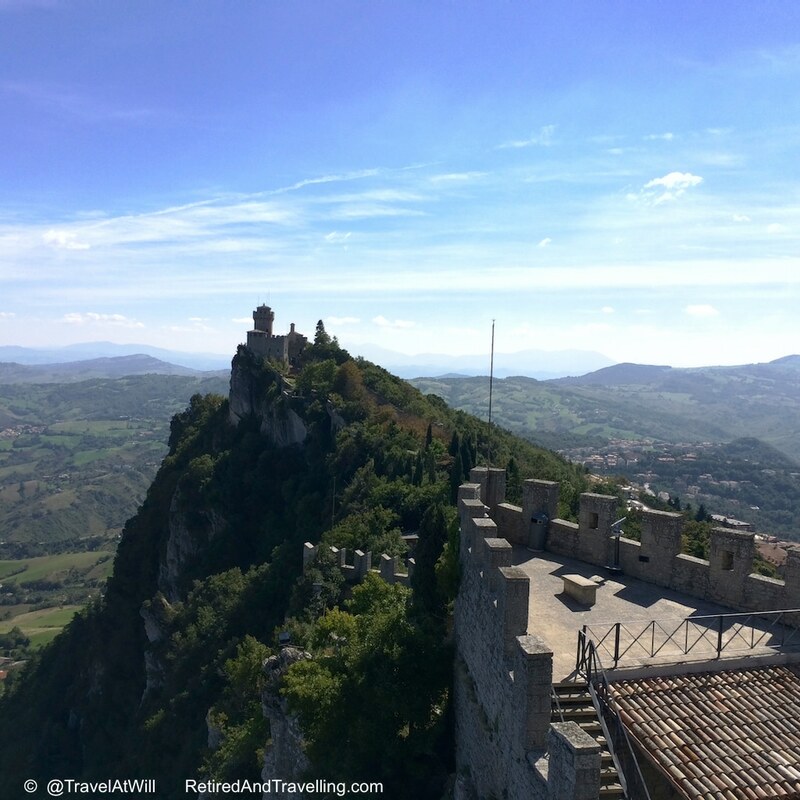 It was easy to leave Italy and visit the small country of San Marino by bus. 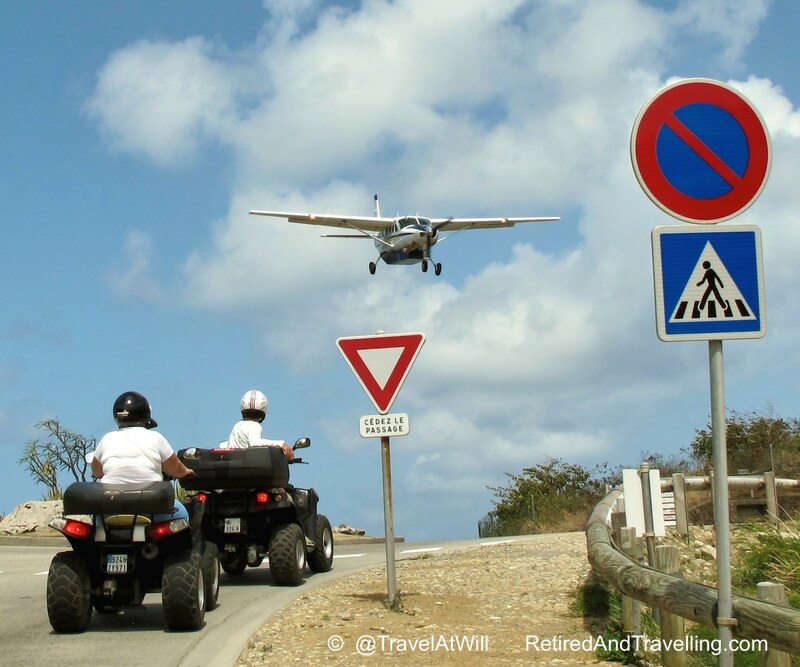 Sometimes we get adventurous and tour for a day on a 4×4 (Corfu) or on an ATV (Mykonos and St Barts). When we visited Thailand and Bali we were tempted to try scooters but ultimately decided to stay away from that chaos. 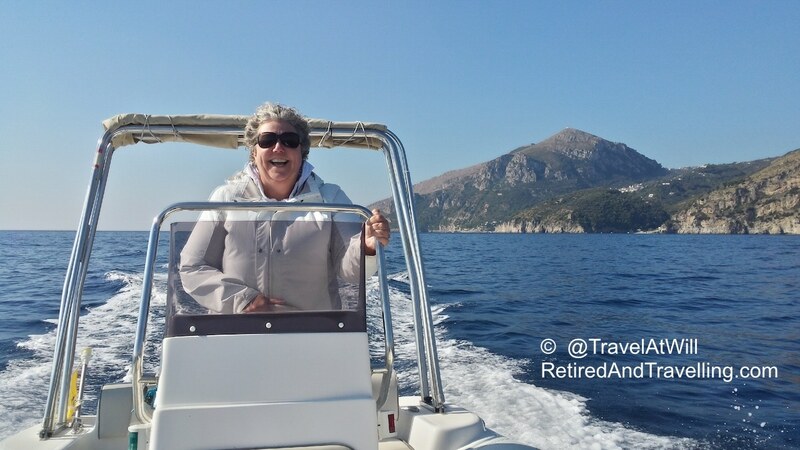 Staying in Sorrento for 3 weeks, one day we rented a boat and drove along the Amalfi Coast. We got the greatest views from the water at our pace. Once we took a commercial ferry from Barcelona to Rome. It is on our list to take the train from Naples to Sicily! They dismantle the train and put it on a ferry to cross the water. That sounds like a good story! And of course, one of our favourite ways to move between places is by cruise boat. I started to write “book your hotel” before I realized that hotels are just one option. We have used Airbnb when we have stayed in one place for a long time. It gave us the most amazing place with a view! We have not yet tried house-sitting or house-swapping. And we are not the average hostel crowd. My idea of roughing it is “no mints on the pillow”! But each different type of accommodations has its proponents and places where it works. We used to book all accommodations when we planned the trip. We would book as “refundable” and pay the premium to be able to cancel. This gave us an initial plan but the ability to make changes as we went. 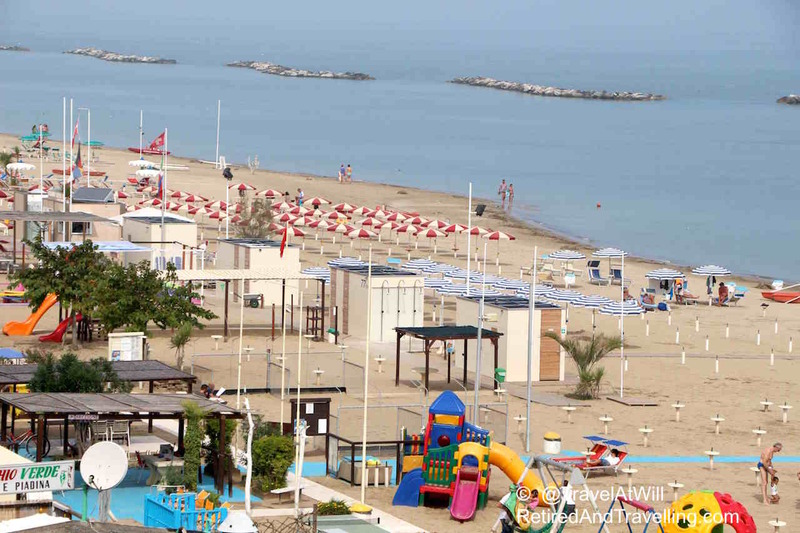 When we realized how deserted small Italian beach towns were in full off-season, we changed one of our stops further along the trip. We now will often book accommodations at our start and end points since we fix those dates early. We then try to book about 2 weeks out as we go. This means we can generally book non-refundable if we are pretty sure about dates and places. The downside of leaving ourselves more flexibility is sometimes losing your dream spot or dealing with much less choice. You also need to take time out of travelling to look for accommodation. We will often try to short-list a few places in each stopping point in advance to reduce some travel work during travelling. Our travel planning tips include leaving yourself with some flexibility. You can wander a bit further afield. Spur of the moment choices can be made when you find a great spot to stop or place to stay. For us, a mix helps keep us planners happy! We don’t plan every day in advance. But we do make sure to schedule in any major things that we really don’t want to miss. Seeing Romeo and Juliette at the Verona Arena was booked far in advance. 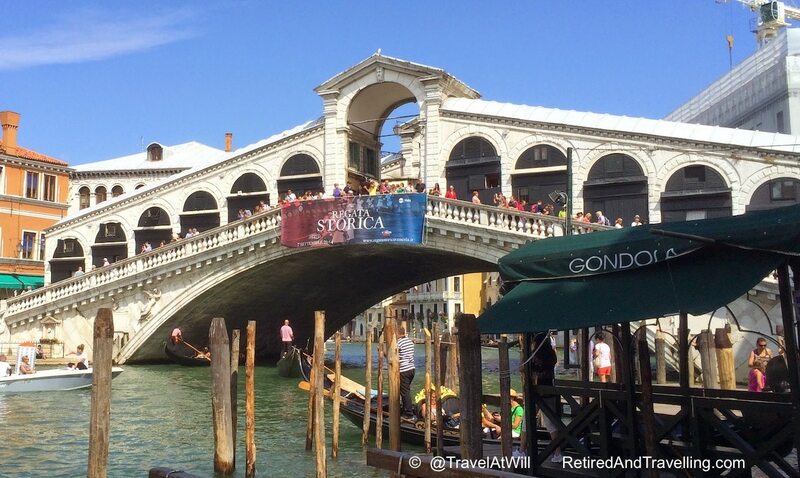 We made sure to be close to Venice for the Regatta. The whole trip to New Mexico was timed to make sure we saw the Albuquerque Balloon Fiesta and got tickets for the days we wanted. We generally create a very long list of things to see and do. Input comes from blogs, reviews, travel shows, books and input from others to create the list. We can sometimes pare it down and try to prioritize a little. Then is all about negotiation and compromise! We will decide day by day what we might do from the list if we don’t need to book in advance. 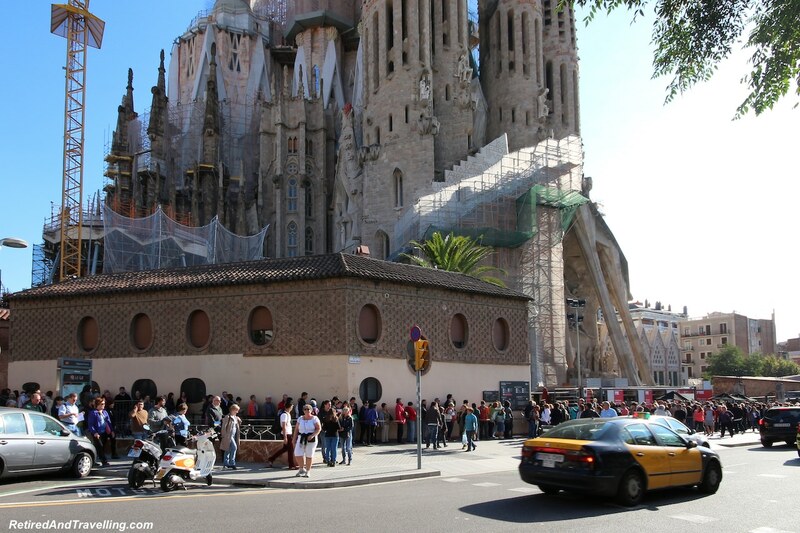 If we know we are doing something (like visiting a museum or the famous Sagreda Familia), we will book our tickets online to avoid long line ups. One of our travel planning tips not to forget – don’t over-plan! We don’t plan something for every day. Many days we will head out by foot, transit or car and just meander in the general direction of something we may be interested in. We have discovered so many gems that way. We have to plan on what to pack. My carry-on bag has a standard packing list. But checked bag depends so much on where we are going and what we are doing. We prepare our electronics for travel. Everything is updated and backed up – twice. Some goes in the cloud and some on portable storage. Apps are loaded on iPhones and iPads. Enjoy the planning. For us it helps us to get excited as more and more of our trip starts to gel. When we know the places and things we will be seeing, tv is replaced by YouTube watching videos! At some point, we just stop planning. We are as ready as we can be and it is time to enjoy the travel! There is always another trip to plan. Did these planning travel tips help? Are we way too organized for you? What is your major planning travel tips? Very resourceful article. Love your travel strategies. Happy travels for 2017 and the future. Love your tips- learned from extensive travel clearly! 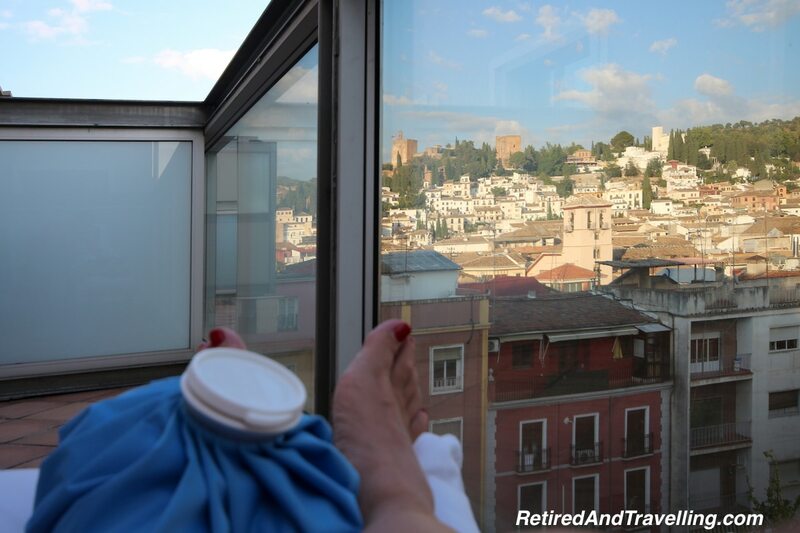 What are your thoughts on Travel insurance? Is it worth it and do you have a plan you would suggest? Glad to see you enjoy travelling. My friend and I have been around the world at least 3 times travelling for work and holidays. A lot on our own, backpacking, motor homes, car, adventure tour groups, now cruising since we are tired of rough travels. I am sure your tips will help some people who travel with the kitchen sink or go to places they should not go for health reasons. You take a lot of short cruises which to me are a waste of time and money. Too short for the airports waste of time to get to ports. Now locals hate tourists and security is a problem. I am always glad to be back home. Maybe I have travelled too much. I wish you good health since this is the essential to enjoy travelling. We are planning a driving trip from Ontario to California and back. Are there any hotel chains that will give you a deal if you book consecutive nights, even if you are staying at different locations each night? As an experienced international traveler, living in Canada, I’ve enjoyed reading bits of your blog. Here’s more planning tips. I agree that the “multi-stop” option on 1 airline can be useful if all or most of your desired stops are served by that airline, & fit your travel time lines. This works well & is usually cheaper if all your desired stops are in the same region that’s served well by that airline, and importantly, local carriage is allowed between those stops on that airline. If going to many far-flung places, this option can also be used for what some call a round-the-world fare, allowing travel in only one general direction for the whole trip, either east or west, & the total fare is very reasonable compared to one-way hops. Avoiding the very high cost of one-way long haul flights can also be done by using what the travel/airline industry call “open-jaw” fares on the same airline: same origin & final return city, but different destination start & end cities. Not as cheap as simple return fares between start & destination city pairs, but much cheaper than 2 one-way long haul fares. Again, the limitation is that the same airline serves all 3 cities. Depending on the cost of short-haul fares between the destination start & end cities (using any airline), it may be cheaper overall to buy a simple return fare between your origin & destination start city and tack on a short-haul from destination end city back to the destination start city. Or tack on a multi-stop (a.k.a. circle fare) with a local airline in the region of your destination stops. Hope these are useful tips. Enjoy your travels!